Is it a ladybug, or something quite different? What is with the odd costume? Quit colorful. 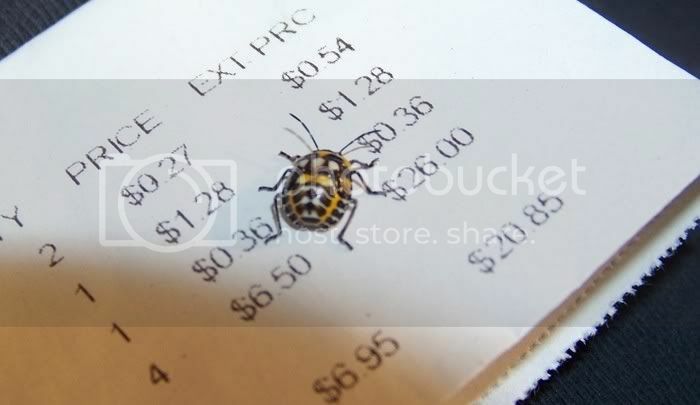 I still have focus issues, but this bug ran fast on anything except the white paper, figures! That's the nymphal form of the Harlequin bug, Murgantia histrionica. It's a serious pest and can cause significant damage to plants. See this site for detailed information. 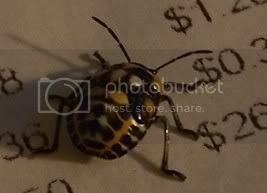 I did find this bug in the bed that had the harlequin bug infestation. I thought the good guys had arrived!! Actually, I thought potato beetle? Squash beetle?